Within the comfort of your own Shopify and BigCommerce store, you don’t need to stick to selling products under one category. You could sell products under men and subcategorize products like summer wear, winter wear and so on. But how would you map that category when exporting your products to Google Merchant center? For this, you need to map multiple categories of your shop to multiple categories of Google merchant. If you are one of the regular users of ExportFeed cloud then you may have already noticed the change while adding Google Sales Channel. But if not, there’s a huge change that we’ve rolled out this time. No more just creating feeds and grabbing the URL. 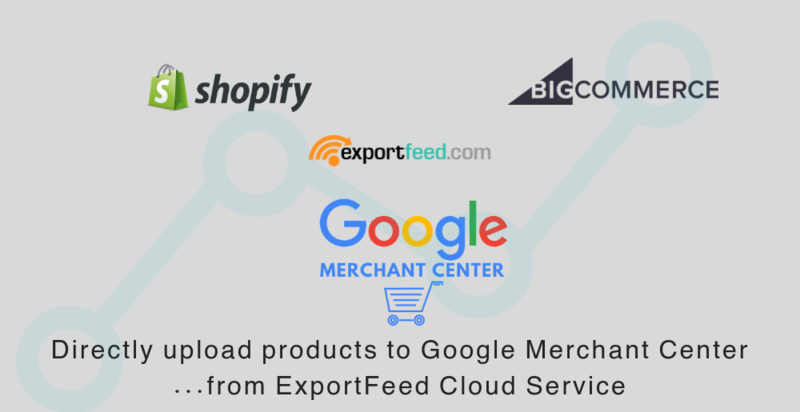 Connect your Google Merchant center with the ExportFeed cloud once and enjoy directly uploading your products to Google Shopping without loging to your Merchant Center account.